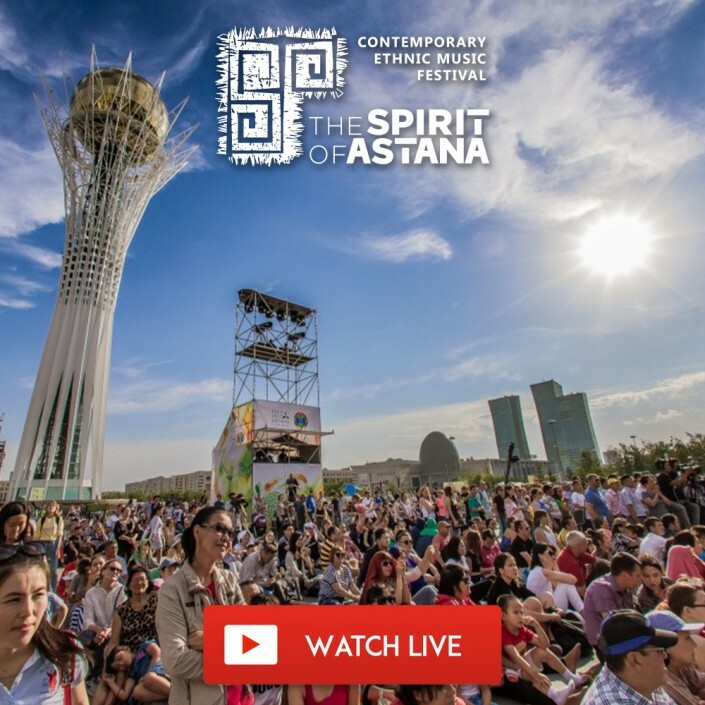 The International Festival of Contemporary Ethnic Music The Spirit of Astana 2018 will be hosting shows from such bands as BaBa ZuLa (Turkey), Khoomei Beat (Tuva) and Natig Rhythm Group (Azerbaijan), Tengrinews.kz reports. In total, 18 teams from more than 20 countries of the world will come on stage in the square in front of the Baiterek monument on July 6-8. 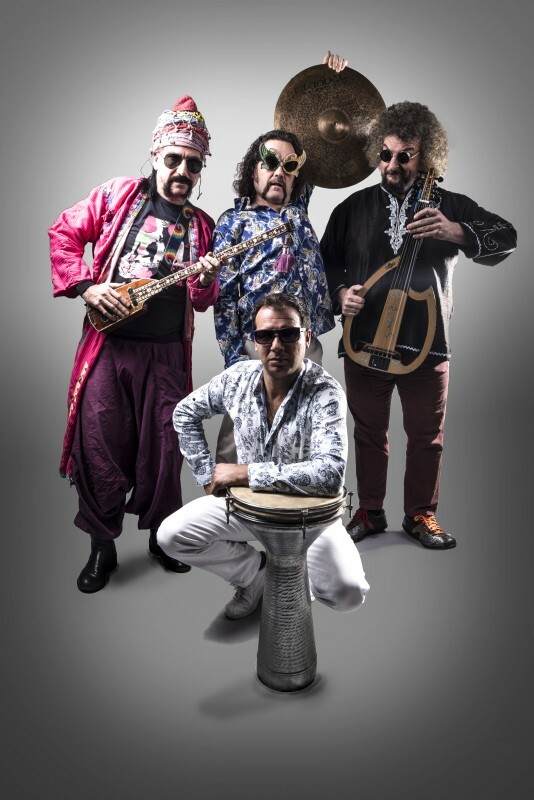 The famous Turkish band BaBa ZuLa, beloved by the Kazakh audience, is going to take part in the Spirit of Astana Festival for the first time. The group has many times taken part in the Almaty Festival The Spirit of Tengri, and in 2017 and 2018 they elicited standing ovation at the International Festival of Nomadic Culture Nomad Way. 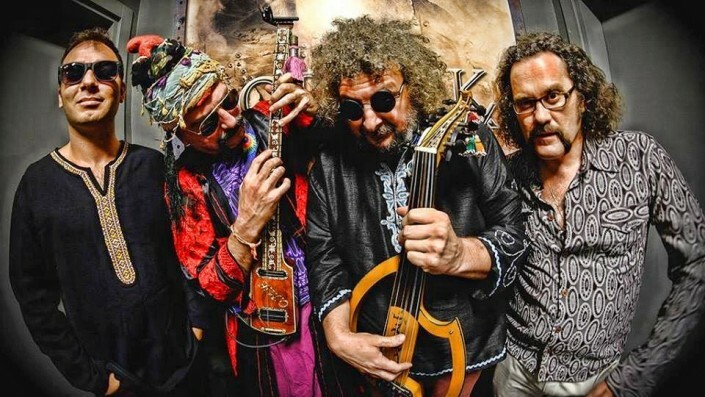 Psychedelic rock of the 60s-70s, reggae, dub and many other musical genres and the mesmerising sound of baglama and darbuk drum are all about BaBa ZuLa! BaBa Zula's music can be compared with meditation, the whirlings of Turkish dervishes, who are immersed entirely in a special state, and the audience is drawn into this meditative process. Each performance of the band is a real ceremony. Their performances are a mixture of music, dance and poetry. The Turkish band have performed at such outstanding venues as the Venice Biennale, Roskilde Festivals in Denmark, Chicago, Berlin and Amsterdam. "Hello Astana, we are happy to announce that we are coming back to you! From July 6 to July 8 we will see you at the Spirit of Astana Festival in the square in front of the Baiterek monument! The Spirit of Astana is the spirit of brothers and sisters!" Turkish musicians said in a group video message. 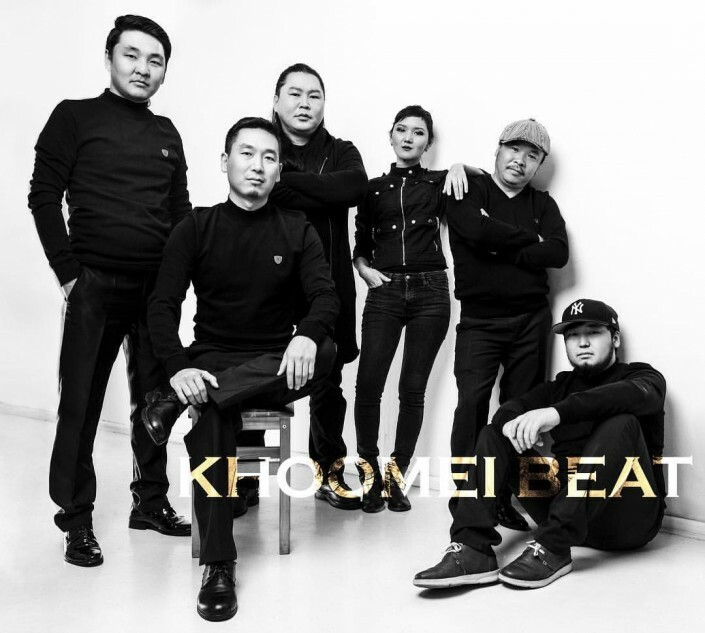 KHOOMEI BEAT is a prominent representative of Tuvan new music generation. Powered by the roots of Tuvan folk, the musicians subtly mix the expression of rock with the airiness of jazz and pop. With the help of this mind-blowing mix, the musicians get across the history of their people, traditions and customs of their ancestors, which have been carefully kept and preserved until today. If you close your eyes and let the charming sounds pass through you, you can feel the power of the wind, bringing with it the smell of mountain grasses, see peacefully grazing flocks of sheep and frolicking horses in the mountain valleys. Khoomei Beat project popularizes Tuvan throat singing in a different sound. That both rattling-rumbling and gently caressing sound of throat singing accompanied by the sounds of the igil, byzaanchy, drum, bass guitar and keyboards is perceived by listeners in a completely new way. And the sounds of a cello, like a spicy seasoning, only add a piquant sensitivity to the group's music. The members of the group are Honoured Artist of the Republic of Tuva Kan-Huler Saay, as well as musicians Aikhan Oorzhak, Bailak Mongush, Aydin Sedii, Shoran Ochur and Adygan Ayyzhy. The band gets inspiration from old archive records and modern music. 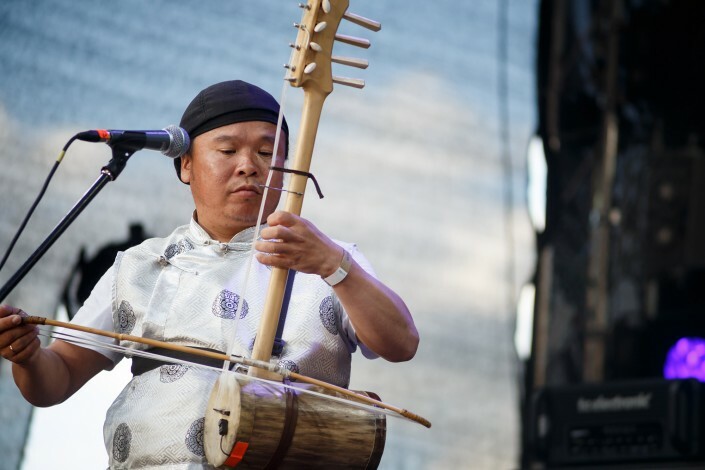 Tuvan folk music and throat singing still remain the starting point, but they do not limit the musicians: staying loyal to their folk roots, the musicians are open to different styles and new directions. During a short period of the band's existence, the musicians have found a lot of fans and admirers. And their secret is simple - the performers give vent to their imagination going far beyond the limits. This is their unique feature. In 2017 at the international festival "Khoomei in the center of Asia" (Tyva), KHOOMEI BEAT became a real discovery. 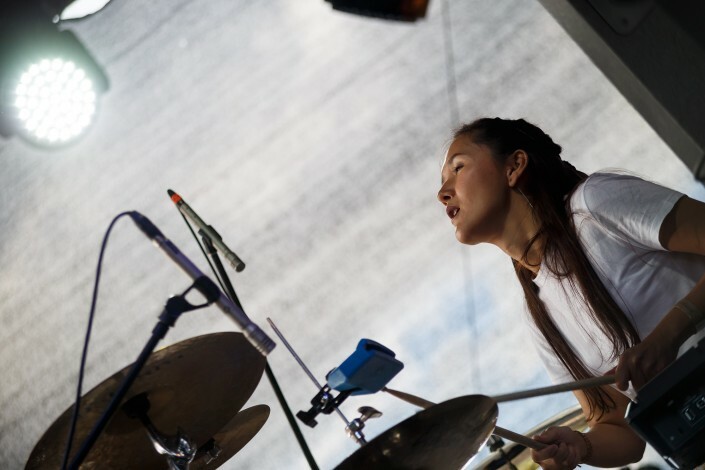 The musicians became winners in the nomination "Khoomei in modern interpretation", where they critically acclaimed by the jury members, world-famous musicians such as Grammy-winner Jeff Coffin, Felix Pastorius, Igor Koshkendey (Chirgilchin), Koichi Makigami (Japan ) and many others. "Hello everyone, this is the Khoomei Beat from the Republic of Tuva, I\We'll see you in Astana from July 6 to 8. Kazakhstan, meet us soon," the musicians said in a video message to the Kazakh audience. For the first time at the Spirit of Astana Festival 2018 the famous musician Natig Shirinov will perform with his project Natig Rhythm Group (Azerbaijan). The band will acquaint Astana citizens and guests of the capital with the Azerbaijani percussion musical instrument, a type of drum called nagara. In different countries and local traditions this tool is known as naqqāra, naqqarat, naqqarah, naqqåre, nakkare, nagora. It is also common among the peoples of the Middle East and India. Natig Shirinov made a significant contribution to Azerbaijani percussion music and established new musical standards that gave birth to new trends in art. He has revolutionized the technique of playing the nagara and has become the first rhythm composer in Azerbaijan. The Natig Rhythm Group participated in the opening and closing ceremonies of the Eurovision Song Contest, which was held in Azerbaijan in 2012. The group also opened a concert of Rihanna in Baku (2012), and in 2015 Natig Rhythm Group performed at the opening ceremony of the first European games. The treasure of the artists is the Grand Prix of the Geumsan World Percussion Performance Art Festival (2011), as well as a joint performance with the State Dance Ensemble at the opening ceremony of the concert in support of Eurovision in Azerbaijan, Turkey and Serbia in 2008. Astana residents and guests of the capital will enjoy the shows from 19 great bands from more than 20 countries. The musicians represent such far-abroad countries as Ireland, Burkina Faso, Senegal, Turkey, Japan, Mali, Hungary, Peru, the USA and India. 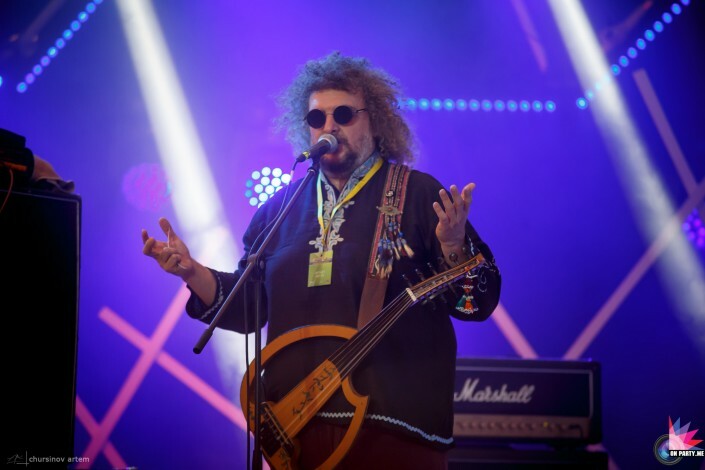 Previously, the first six participants of the Festival were already announced: Marga Muzika (Lithuania), GeoTRAIN (Georgia), Kerekes Band (Hungary), Indiogenes (Peru), and musician Robert Yuldashev with Quraisy band (Bashkortostan). For those who for some reason won’t be able come to the square in front of the Baiterek monument, this year there will be an online broadcast. The online broadcast will be available on Tengrinews.kz, as well as on the official channel of The Spirit of Tengri on YouTube. You will get a bright lighting show, only a live sound and a full immersion in the amazing atmosphere of a family holiday. 6, 7 and 8 July, the start of the online broadcast is at 17:00. Join the main event of this summer! The Spirit of Tengri is a multicultural and one of the world's largest projects in the genre of contemporary ethnic music, with a status of a national cultural brand. To date, musicians from 70 countries and regions of the world have been on its stage. Over these years, more than 100 thousand Kazakhstanis and guests of the country have been its visitors. The Spirit of Tengri Festivals are bright colorful music shows accompanied by informational art materials and video content. Thus, they are not only entertaining but also educational. Partners of the previous The Spirit of Tengri and The Spirit of Astana Festivals have been supermarket chain Magnum Cash&Carry and Kaspi.KZ.